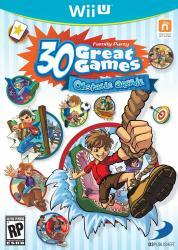 Family Party: 30 Great Games Obstacle Arcade takes players to �Family Party Land�, a magical island loaded with a combination of familiar games and over-the-top challenges. Dodge barrels, ride horses, skydive, shoot rockets, kick goals, and more. Rule the island by earning medals and high scores, and unlocking new games.